There’s an old theory out there that fashion is a key indicator of how the economy is doing in any time period, and when we say fashion we mean the length of a woman’s skirts. The idea is that shorter the hemline, the better the economy. There’s also a popular theory in the automotive industry that the amount and boldness of colors offered by carmakers is a reflection of the strength of the economy. 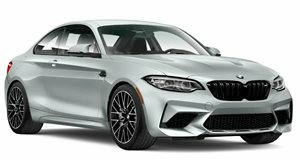 Unfortunately, if there were a direct correlation and causation it seems to have fallen to the wayside as we’ve reached a period of time where the most popular colors for cars are black, white, and silver. That’s not really due to any economic influence, it’s boiled down the fact that it’s easier to resell cars with basic colors. That makes sense when you consider color is very much a matter of taste, and a bold color is going to limit the appeal. 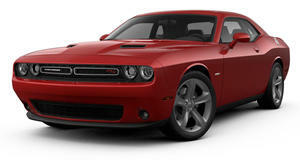 However, choose the right color on the right car and it can add some serious money to its value later in life. Over the years there have been some fun, cool, and iconic colors that automakers have offered and they are still affecting car prices years, and even decades, later. If the color of car paint and the length of women’s skirts are an indicator of economic well being, then 1969 must have been one hell of a year. Mini skirts had gotten so short that hemlines couldn’t go any higher and Chrysler released its eye-popping line of High Impact Colors that included names such as Plumb Crazy, Panther Pink, Go Mango and Sublime. 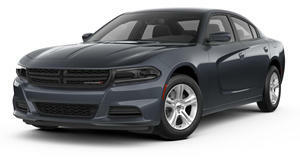 They became iconic, and no more so than on Dodge’s Charger and Challenger models. Then, in 2010, Dodge marked the 40 years of the Challenger by dropping a special edition Furious Fuschia painted Challenger and went on to bring the most popular retro colors back and liven the automotive world again. Back in the 1970s, you could pick order any color you liked for an extra $15, about $100 now after inflation, and that can add up to 10% on the value now and anywhere up to 20% if it's matched with a white interior. When you talk about iconic car colors, Subaru’s blue that’s adorned their rally cars since 1993 and started an era of dominance that’s become legend can’t be ignored. The blue came about through a sponsorship deal in 1993 with State Express 555 brand of cigarettes popular in Asia and has stuck since. 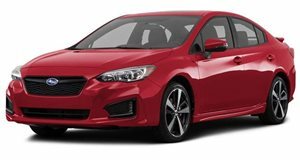 It’s the Mica Blue with gold Speedline wheels combination that Colin McRae embedded in the public’s consciousness that we’re honing in on here, and it’s still the most sought after color combination of classic Subaru Imprezas. Original rally blue paint with gold wheels can make the difference on a quick sale or some extra cash on older models from the Impreza's rallying heyday. On the last generation of the Dodge Viper, you can find this outstanding deep and shiny silver paint. 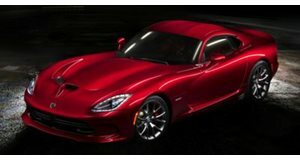 Dodge took a color that usually ends up on the blandest of bland cars and used it to make the Viper even sharper. 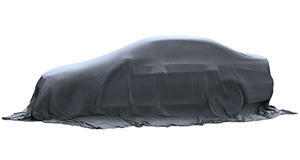 For real exclusivity Dodge also introduced the "1 of 1” customization program that gave the option for a matte finish on any of the 8,000 paint color options. 1 of 1 Vipers were hand-painted in what can only be described as a 140-hour painstaking process. The British purveyors of lunatic level sports cars are well known for using outlandish iridescent colors that change depending on the sunlight and viewing angle. Reflex Spice is an orange base paint that shifts into a blueish purple and is quite rare. However, the most unique color TVR used is Spectraflair Silver and we're seeing it add a few extra thousand on well kept examples for sale. It’s a standard silver upon first glance, but as the light and angles change it shows a blend of purple reflections that highlight the curves of the car. The silver can add thousands to a well-kept car. In 1968, McLaren had seen the bright colors on rival liveries in Can-Am sports cars and how they stood out on color TV. That year it introduced orange on its Formula 1 cars and achieved some very notable success. Orange has been in and out of McLaren's F1 livery since. 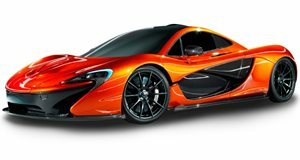 The orange livery isn't necessarily McLaren's most recognizable color, but they reprised it for the McLaren F1 LM edition in honor of Bruce McLaren but, contrary to legend, they weren't all painted orange. Two of the three delivered to The Sultan of Brunei were painted black. BMW’s M Division has a history of fantastic colors, and any color that isn’t black, silver, or white sets an M3 apart. There are rarer M car colors, but Estoril Blue tends to be the most sought after on the E36 and E46 models. However Laguna Seca Blue is right up there for the E46 as well. It's hard to put a real value on the colors, but with a manual transmission, it's a guaranteed sale you can swat low-ballers away from. The Lamborghini Diablo special edition SE30 was basically a street legal race-car spec machine. On top of that, the SE30 Jota factory modification kit took things up a notch by dropping the street-legal aspect. As well as the engine getting some extra power, the Jota spec had aesthetic tweaks added that include metallic purple paint. That paint could be changed on request, but anyone that did that should be kicking themselves as it’s now very rare and has a higher price tag for collectors. While "normal" Diablos tend to go anywhere from $100-200,000, a purple SE 30 can go twice that. A steel shortage after the Second World War forced Land Rover to use leftover aviation aluminum for the body panels of its first models. In the same warehouses there was also a surplus of military green paint, known as Grasmere Green, and as the Land Rover icon grew, so did that particular shade of green with it. 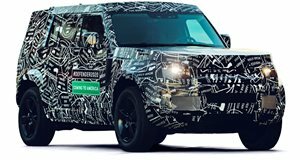 More recently, Land Rover marked the end of the Discovery model by reproducing the original color for the final Heritage edition and it sold out well before the last model was made. Those people got them for £27,800, but now they are selling for £50-65,000. As for the first generation of Land Rover, they are now very valuable and the original green is the only acceptable color for collectors. We found a low mileage original that comes with period-correct dust for £45,995, which is around $60,000, but for a good condition Series 1 in its original color should be around £30,000.